Not only has it been 25 years since the BFI first launched their Missing Believed Wiped programme, but it has also been 30 years since the genesis of Kaleidoscope. Missing Believed Wiped, of course, is an endeavour that looks to rediscover television long lost from the archives and screen it in its full glory down at the BFI Southbank, London. One of the key contributors, over the years, to Missing Believed Wiped has been Kaleidoscope, a collection of archive enthusiasts headed by Chris Perry who all share a common love for British television. And, to celebrate 30 years of Kaleidoscope, this coming Saturday sees Missing Believed Wiped hosting a special event to honour the efforts of Kal (as they're known to those in the know). Whilst the event will pay tribute to Kaleidoscope's previous finds which include episodes of The Likely Lads, The Avengers and Top of the Pops as well as an absolute wealth of continuity links, the main draw of the event will come in the form of new finds of long lost material previously labelled as missing believed wiped. 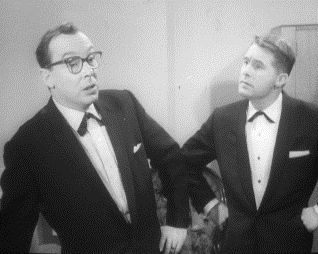 Of particular interest, not just culturally but in terms of eliciting a few belly laughs and a warm, nostalgic smile is the discovery of a Morecambe and Wise public information film from 1963 on the dangers of drink driving. When you realise that this will be the first public screening of the footage in 55 years, you begin to get a sense of the importance behind Kaleidoscope's work. Eric Morecambe's son Gary didn't even realise it existed, but now it will be zealously preserved to provide a firm link to Britain's cultural past. 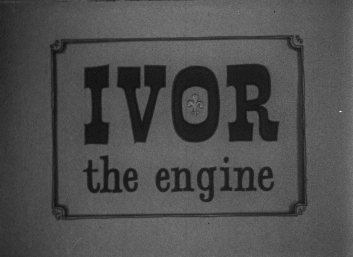 Also being aired at the event will be an early edition of Ivor the Engine from 1963 that was rescued from, of all places, a pig shed on creator Peter Firmin's farm. No doubt Firmin, who recently passed away, will be looking down from Television Heaven and smiling sagely as new life is breathed into his timeless take on children's TV. Sticking with children's TV, a previously lost episode of Pipkins - a show seriously blighted by poor archiving - from 1980 entitled Snapshots will be aired. 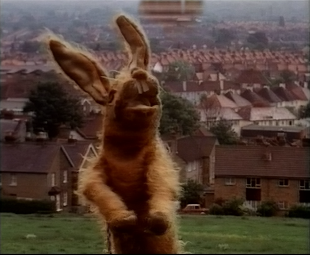 And to make the screening a little more special, Hartley Hare - aided and abetted by his handler Nigel Plaskitt - will be introducing this episode of Pipkins. Kaleidoscope, as you can imagine, is a bastion that Curious British Telly is keen to be associated with due to our dedication towards archive TV. There's a passion at play which is unmatched across most independent archives and they genuinely strive towards an ethos of preservation which is incredibly wide reaching. Thanks to my ardent approach to going through mountains of old VHS tapes, I've managed to find a few offerings of missing TV and Kaleidoscope have always been interested in adding them to their archive where major broadcasters may pass due to the footage's relative insignificance. Missing Believed Wiped: Kaleidoscope Special takes place on Saturday 11th August across two sessions and, at present, tickets are still available for both sessions.